The updated Fuel Pump Booster is an easy way to maintain the proper fuel pressure on your car after adding a power adder such as a turbo or supercharger. The Booster ensures that the engine receives the fuel it needs to make up for the increase in air being pumped into the intake manifold. It will increase the voltage to the factory fuel pump in proportion to manifold boost pressure in order to maintain the proper fuel delivery. The amount of increase is adjustable from a range of an additional 1.5 –22 volts and up to 30 psi which can all be set and adjusted from your PC with MSD's easy to use Windows based software. The MSD Booster will wire to the factory fuel pump relay or with a secondary booster pump. The Booster allows you to make your boost adjustments through a PC for improved control and accuracy. 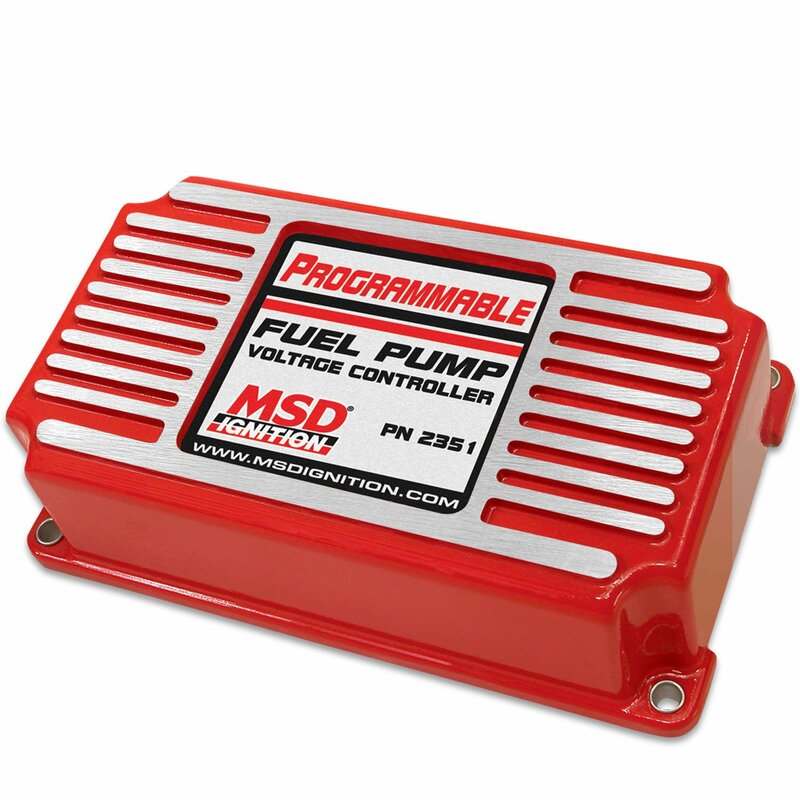 NOTE: The Fuel Pump Booster cannot be used on fuel systems without a return line (pulse-modulated pumps). Multiport EFI systems require a stable fuel supply to maintain best performance throughout the engine's rpm range.